Please scroll down to see all our upcoming classes and workshops for lesbian and queer women, including live workshops in Oakland and San Francisco, CA and online classes you can take from anywhere in the world! Prepare your heart and mind for a truly fulfilling relationship. Identify and release the blocks that are holding you back from love. Gain the self-compassion, communication and conflict-healing skills you need to keep a relationship happy and healthy. Create a crystal-clear relationship vision, so you can easily identify who’s right for you and who’s not. Develop a dating plan and learn to make wise dating choices. 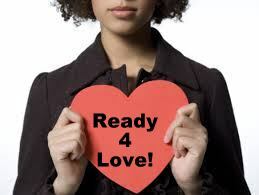 Support and be supported by a great community of conscious single women from all over the U.S., and beyond. Next class begins September 13, 2018. Limited to 25 women, and it’s will definitely fill, so sign up NOW! If you took a class from us, and are looking for the materials, email us, and we’ll send them to you. Here is a list of our past free teleclasses you can listen to. What are Conscious Girlfriend workshops like?